You're incorrect, as posted on page 1 or 2 of this thread, World were slow to react - not interrupting Focus On Africa until 18.50 BST. I just saw this pic coming from Twitter tonight. All I can say is wow & not in a good way. The cathedral's interior is definitely destroyed as far I can see. It look's absolutely horrific. 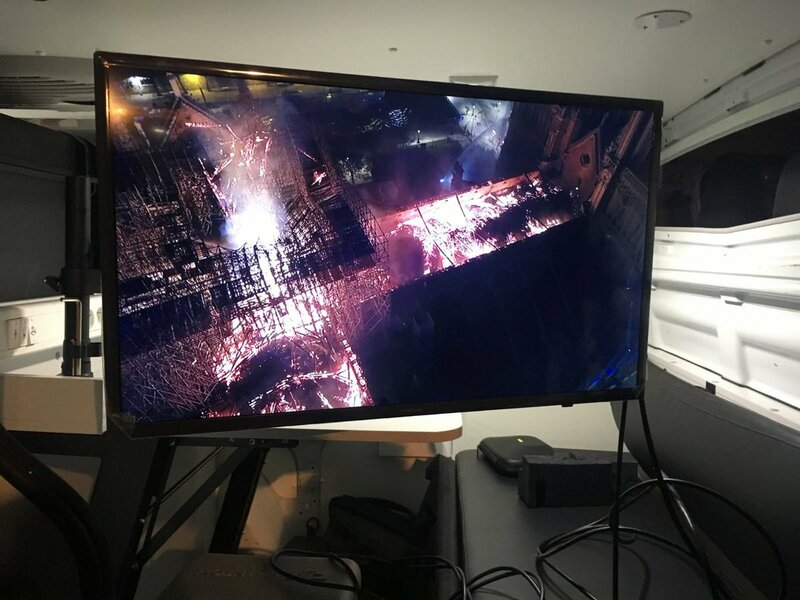 That angle does make me wonder why we've not seen any live helicopter shots so far, or posts from Mouseboy telling us about the helicopters at the disposal of various US broadcasters. That is literally a conspiracy theory. Are World taking the Ten? Very intriguing indeed - just watched the top of hour at 22:00, the red BBC News logo in a box appeared on the end sting for Outside Source, then stayed on for the duration of the headline sequence of the Ten (though not on BBC One), then faded out on the opening shot of Sophie Raworth. Then the “web” BBC News bar at the bottom wiped in. TVF's favourite anchor Wolf Blitzer taking over proceedings over on CNN (being simulcast on CNNI). Cue melodrama galore and numerous 'everybody, stand by' remarks. A very shouty end to a report by Brian Todd to begin. You can just imagine the TOTH being even more over-the-top than usual by Situation Room standards. France 24 are reporting as Breaking News that the main structure of the Belfry will be saved from this horrific fire.